Genres: Comedy / School Life / Art? Summary: Story about students in Geijutsuka Art school. 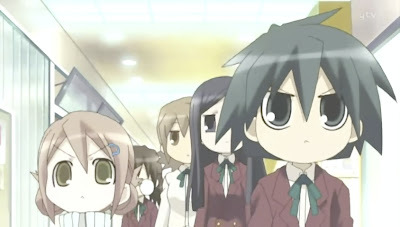 Personal comments: This is yet another anime in style similar to Azumanga Diaoh and Lucky star. But this is much more plain in terms of activities. Equipped with quite a few tips in art craft, this feels almost like an educational anime.